This weekend goes down as one of the best ever! Elder Holland came to visit the mission. Dave and I picked him up from the airport on Friday evening and spent about 2 hours together before dropping him off at his hotel. I had pondered ahead of time what I wanted to ask him. I was grateful for his loving counsel and teachings to us that night. He expressed his love for our missionaries and their sacrifice to serve. 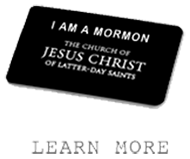 The brethren love the missionaries so much and it was important to him that they know of that love. 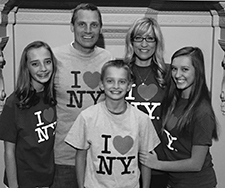 On Saturday morning the kids joined us to pick him up and take him to the Lincoln Center Chapel where he would meet with our missionaries. It was awesome for my kids to be with him! I don't know a better way to describe it. He was interested in them and complimented the way they have adapted to serving this mission. They recognized what a special experience it was and I know it is a day they will always remember. I was so proud of our missionaries on Saturday morning. We arrived about 20 min early. Dave and I were nervous wondering what we were going to walk into but there was no way to stall. We should have never worried. The NYNYN missionaries are the best! They were all there, very reverent and prepared to learn and be taught by an Apostle. Those 2 hours spent together in that chapel were very sacred. I felt like we were in the temple. 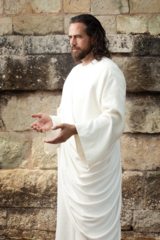 The Spirit was so tangible and he taught us directly from the scriptures. He helped them understand the sacredness of their calling and what they have to share with the world. His message was one of hope and empowered them to go forward with more faith knowing they are doing the work of the Lord Jesus Christ. He told us after how impressed he was as he looked into each one of their eyes and shook their hands. He knew he could teach doctrine, they were prepared to receive. I was once again overcome with the love for our missionaries as I too had the opportunity to shake each one of their hands and look them in the eyes. I feel like Heavenly Father has blessed Dave and I to see them as he does. 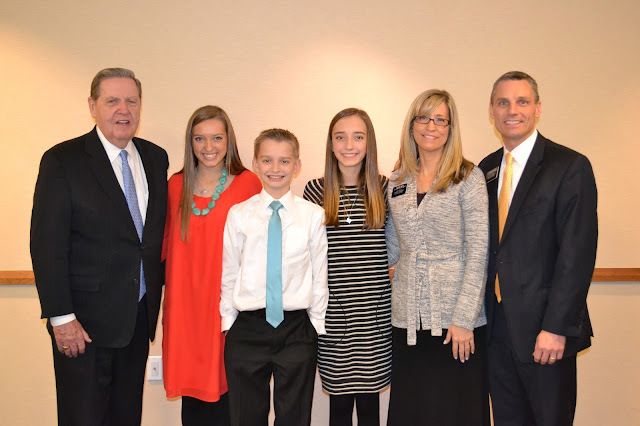 Following the meeting our little family of 5 and Elder Holland sat down to a wonderful lunch prepared by Jennifer Buckner, whose husband serves as the Stake President of the NYNY Stake. She had set a beautiful table filled with lots of yummy food in the conference room for the Public Affairs office which is in the same building as the chapel. It was precious time to sit as a family with an Apostle. He was so kind to the kids and at one time looked at William and said "we should just send you to Mongolia right now as a missionary. You are ready, better yet lets just put you in the Bronx!" Who knows maybe William will serve in Mongolia someday. Following lunch we headed towards the parking garage, but on our way out we saw Millie, one of my favorite Security guards at Lincoln Center. She is special! A few weeks ago I had shared with her about a living Prophet and Apostles on the Earth today. We had a great conversation and her heart was touched. 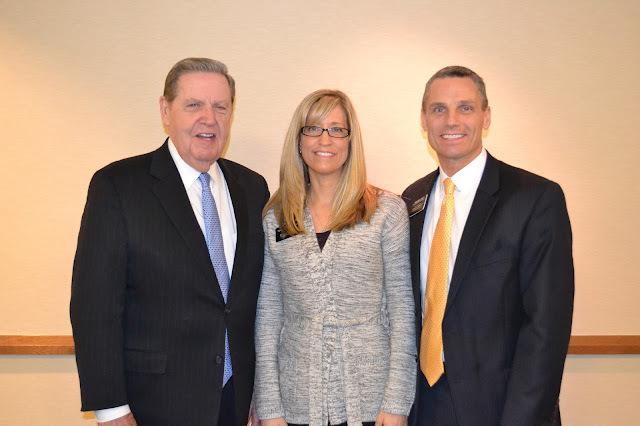 I had been praying that somehow I would get the opportunity to introduce Millie to Elder Holland. I don't believe it was a coincidence that she was right there as we exited. I was so excited to tell her "This is a living Apostle on the Earth today. He is one of the ones I told you about." She was very happy to meet him and had tears in her eyes as we walked away. Elder Holland was his congenial self saying "Millie your famous, I've been hearing about you for two days!" I had shared with him how much I loved her and that I hoped he had the chance to meet her. He had also heard the kids talk about her. It was the icing on the cake to end the day. This morning we had a mission wide conference call and Dave asked several missionaries to share their thoughts from Saturday. It was so inspiring to hear their thoughts and testimonies of what they took away from this experience. We can never be the same! This is the Lord's work. I know that with all my heart. I will close this post with Elder Hollands words "I testify from the bottom of my heart that the Church is the Kingdom of God on this Earth. I have not given my life to a fairy tale, a fable. It is true! Our task is to help bring to pass the eternal life and salvation of all people, his children. All deserve to hear the gospel. And don't you dare judge who will be interested or not, teach all people. Serve with undying devotion as you bring the gospel to a very dark world...in the name of Jesus Christ, amen." Thank you for taking the time to share the special things that are going on. We appreciate you and the service of your sweet, young family.